Each summer USIT hires hundreds of Irish football fanatics, looking for a dream summer in the US surrounded by the beautiful game. 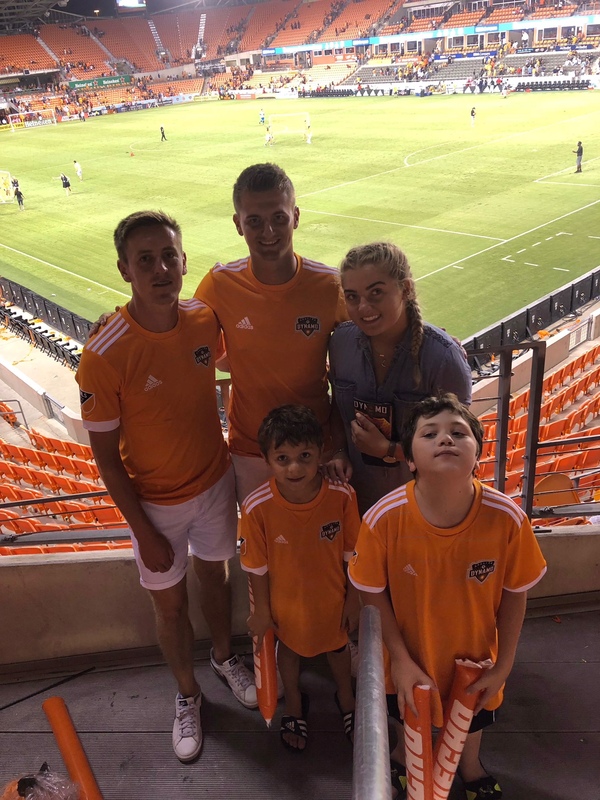 Mark Molloy spent his summer touring through Dallas, Houston and San Antonio on our Coach Soccer Programme, before hitting New York. We’re not jealous at all… Now you can hear all about how she got on! For my Coach Soccer USA dream, I was based in the 2nd largest state in the United States, Texas. When I received this region, I was really excited. Yet I was fascinated as it’s a very unique part of America that I knew little about. After an excellent training weekend in Warwick, all my doubts were gone and my questions were answered and I could not wait to face the next chapter in my life. On the 2nd of June, I arrived in the hot and humid Texas. I remember walking out of Dallas airport and it was like stepping into an oven. There was no escaping this heat now! 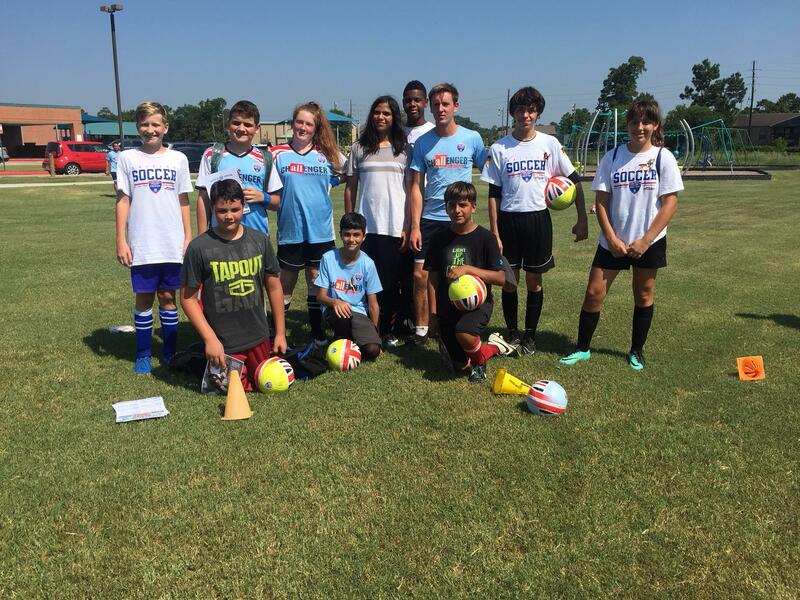 I had soccer camps located in the major cities in Texas including Dallas, Houston and San Antonio and in the smaller suburbs of Katy and Crosby. It required a lot of driving and traveling but it was an amazing way to explore and experience different parts of the state. Texas is 5 times the size of Ireland so a 3 hour drive is seen as normal! The soccer camps were set in idyllic locations ranging from rural deserted areas to urban areas where planes and trains would rumble by. The majority of the camps had water and shade facilities as the average temperature on a daily basis was 36 degrees. It took me a while to adapt to this ferocious heat. 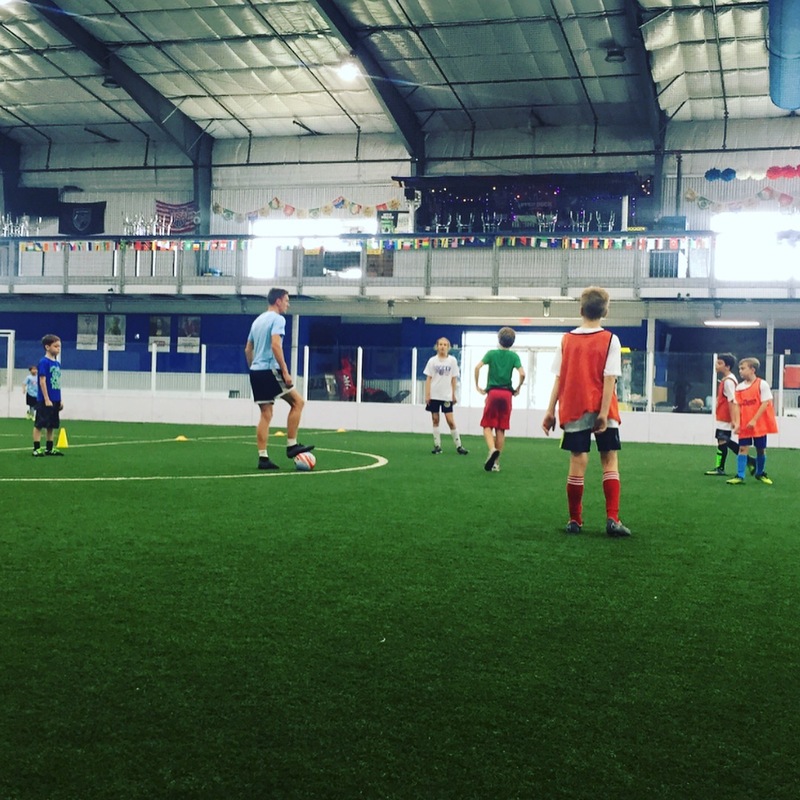 A typical week involved soccer camp from Monday – Friday with weekends off. Each day consisted of 6 hours of coaching. I had morning camp from 8-11am and evening camp from 5:30-8:30pm. The reason for the gap between camps was to avoid being out in the peak heat of the day. Mondays consisted of arriving to camp 1 hour before start time to get organised and to meet the parents – who would arrive early (and trust me they did!). It was important to talk to the parents and make a good impression. They needed reassurance that their children would be safe and looked after well. I had plenty of duties and responsibilities on camp ensuring the kids were safe and learning in a fun environment. Other camp duties included writing Camper Certificates for the children at the end of the week. These were integral to the kids as it was the last thing they would take away to remember you personally as their Coach. I always put great effort into these Certificates and made sure I made them personal to each child. It was extremely rewarding looking at the kids and parents reactions when reading them. 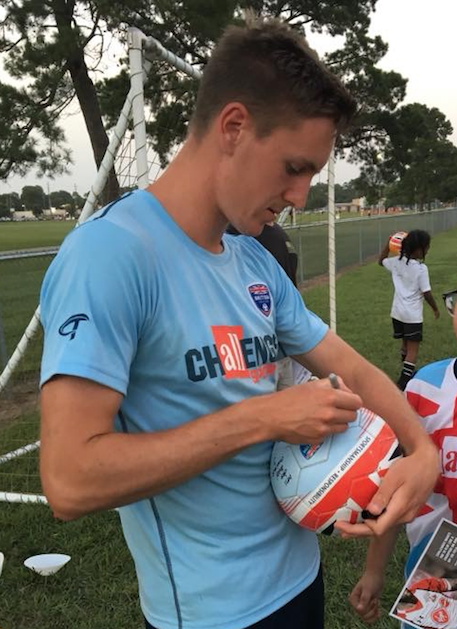 When camp ended the kids would ask for photographs and I would sign their soccer balls and shirts. I got a taste of being a celebrity – and I don’t think I could be famous! Camp wasn’t just all about soccer either! During snack time we would have daily break activities such as telling stories and riddles, showing magic tricks and playing fun games such as “Splat”. The kids were truly magnificent and were always full of energy and smiles. They look up to you so much so it was important to always act as a good role model. When not on camp, I spent my spare time with the most important people of the summer, my host families. I stayed with families with different cultural backgrounds including a Mexican and Panamanian family. I got to try their signature food dishes which were wonderful. Each family was so caring and generous and always went out of their way to make me feel comfortable and at home. I spent numerous weekends in restaurants and bars with host families where we would chat for hours about our culture and countries. I got to visit stunning places and sites while staying with my hosts. These included Galveston beach, the Alamo and the beautiful River walk in San Antonio. I even got the chance to watch a Houston Dynamo soccer game which I have now ticked off my bucket list. I have made friends for life and I’m still in contact with all of my host families. I will certainly visit them in the future. As part of the program, there is a holiday week for the 4th of July. During this camp-free week I stayed in Austin, the state capital of Texas. I got to experience its famous eclectic music scene and for the 4th of July I got to watch a Fireworks Display in the city. It is such a cool laidback city. I visited the famous Barton Springs, a recreational outdoor swimming pool which is fed from underground springs. It’s a truly incredible facility open to the public. My coaching contract ended on the 10th of August but my experience certainly didn’t! 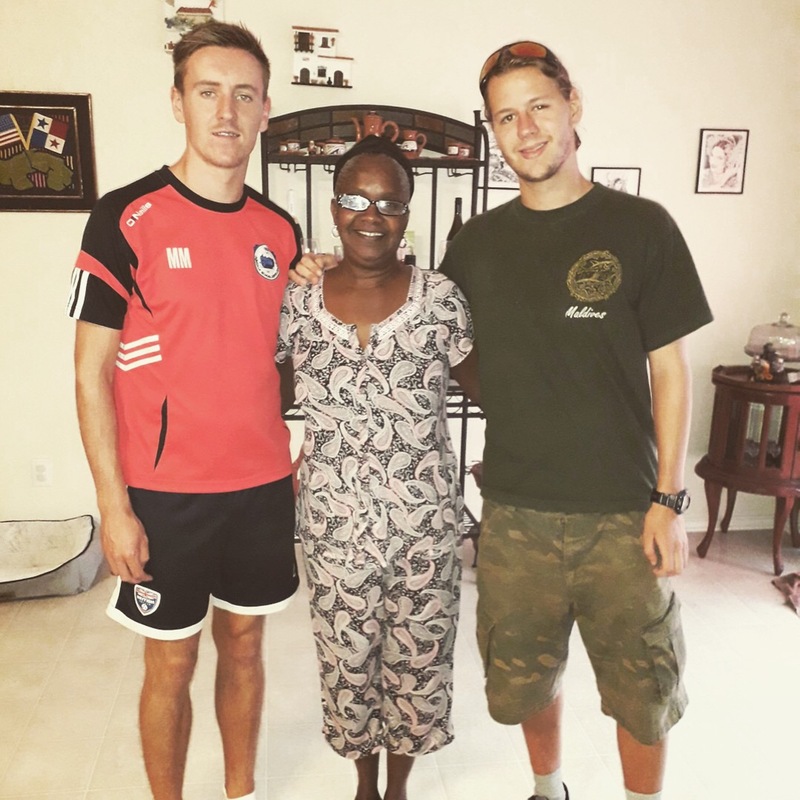 I was lucky enough to be able to stay with one of my host families in Houston for 5 days. They kindly offered me their home again and I was able to chill and enjoy quality time with the family before heading to the “Big Apple”, New York City. I spent eight days visiting friends. – some of whom I had not seen in 6 years! It was a hectic week which involved a lot of traveling and sightseeing but I loved every minute of it. It sure is the city that never sleeps! 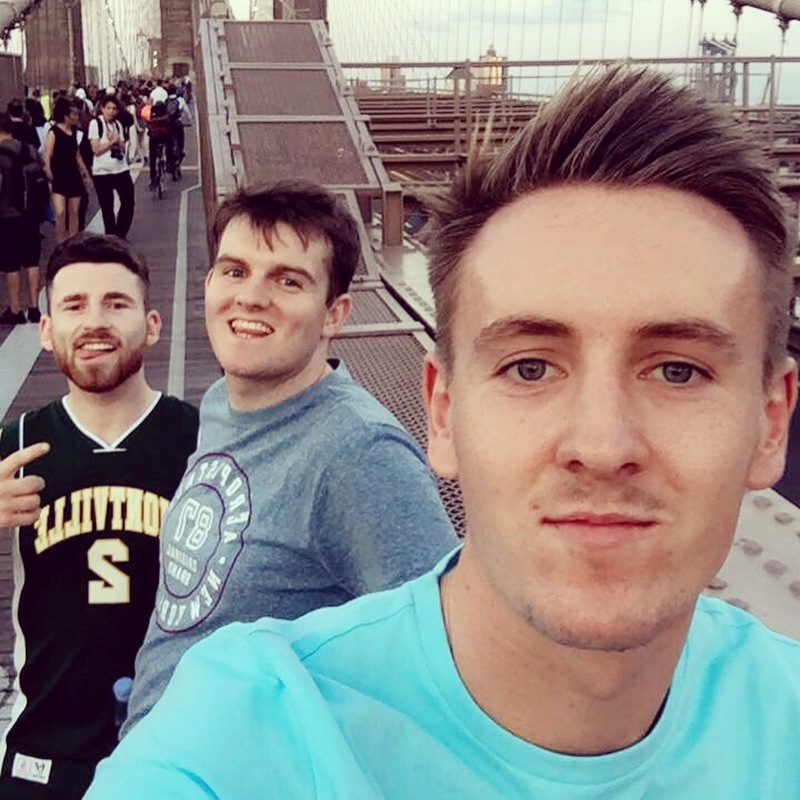 I visited the famous tourist attractions such as the Empire State Building, the 9/11 Memorial Pools, Central Park and Times Square, but walking across the iconic Brooklyn Bridge was my favourite of them all. Seeing the Manhattan skyline at sunset was breath-taking. Overall, I honestly had the best summer of my life and I would highly recommend it to anyone who has an interest in football and coaching and who wants to travel. The experience I gained has been invaluable and I have grown so much as a person thanks to it. Interested in making your own Coach Soccer USA memories in 2019? No coaching experience of badges are required and anyone aged 18-30 is eligible to apply. 90% of Assessment Day participants get hired. Enquire now to get all the important information!